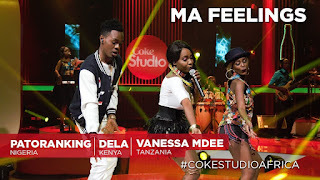 Crayz dance from Vanessaa Mdee On coke studio season 4 Rocking hard. Dela teams up with two of her favorite African artists for a remix of her track on Coke Studio Africa. Patoranking and Vanessa Mdee bring in a new dramatic twist to this track.
" Patoranking - Cash - Madame - Audio"